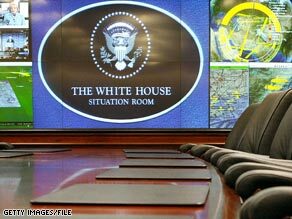 President Obama has invited a handful of CEOs to the White House Situation Room on Wednesday to discuss the growing threats posed by cyberattacks. Instead, the White House official said, the Situation Room is the only conference room available Wednesday to accommodate the meeting. The president is expected to discuss his administration's latest steps to beef up cybersecurity, including a recently signed executive order designed to improve intelligence sharing between the government and the private sector over potential cyber vulnerabilities, particularly those posed by Chinese hackers. 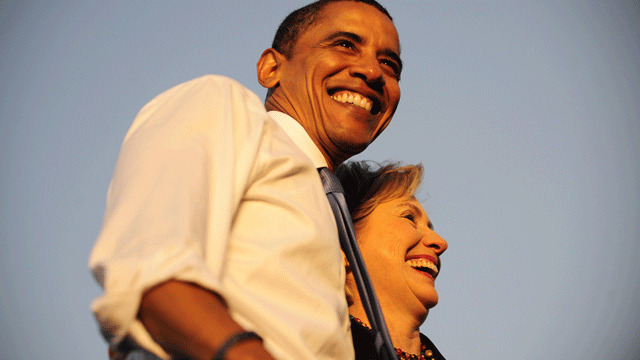 She proved to be an important ally for President Obama on the campaign trail in 2008, but CNN's Alex Mooney writes that Clinton won't be making a return performance in 2012. A senior administration official said Monday Clinton would be sitting out the 2012 election, as has been customary for past secretary of states during the campaign season, Mooney reports on CNN's 1600 Report. The position is an apolitical one, the senior administration official explained, and dispatching Clinton on the campaign trail would compromise that.